Whilst browsing in my local German deli, I came across a collection of Weinrich Trüffel bars, all filled with a variety of liquors and liqueurs -- so naturally I had to buy them. The Weinrich Trüffel has a milk chocolate shell that encases the truffle filling. Taking the chocolate out of the wrapper, you immediately notice an aroma that I could best describe as "boozy." But, it is a Marc de Champagne truffle after all, so let's call that a good thing. 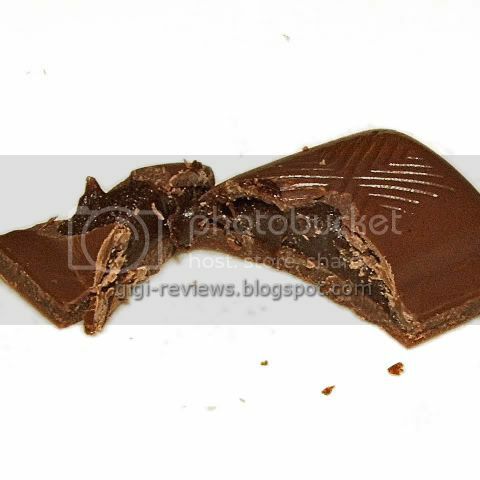 The smooth outer shell is thin and the center truffle filling is a soft creme. 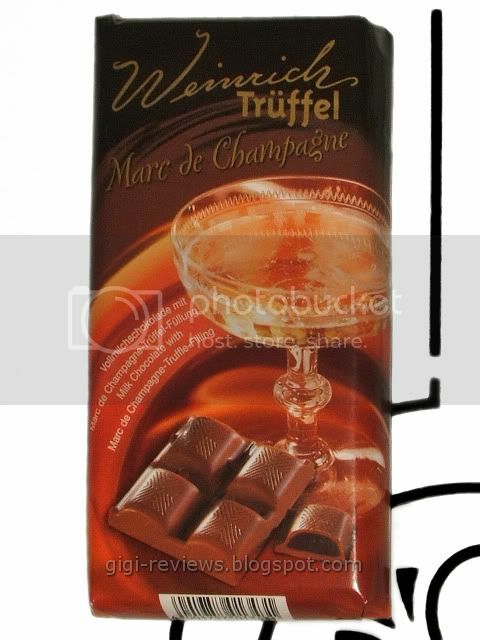 The actual flavor of the truffle reminded me more of Turkish delight than Champagne or anything related to it. There is a soft, sweet rose note -- not as strong as in Turkish delight, but very similar. There is also definite fruit flavor in the background. I want to say it's grape...mostly because my brain is still trying to pin down something Champagne-like being the source of the flavor. But in reality, the best I can tell you is that it's fruity. The filling is sweet, but magically it never gets too sweet. There is just the tiniest amount of alcohol bitterness (whether it's actually alcohol, I don't know -- the label lists both Champagne and Marc de Champagne as flavors, but leaves it at that). It's actually the perfect amount, because it just keeps everything in check. And it was fantastic. I want vats of this filling. I want to put it on everything. 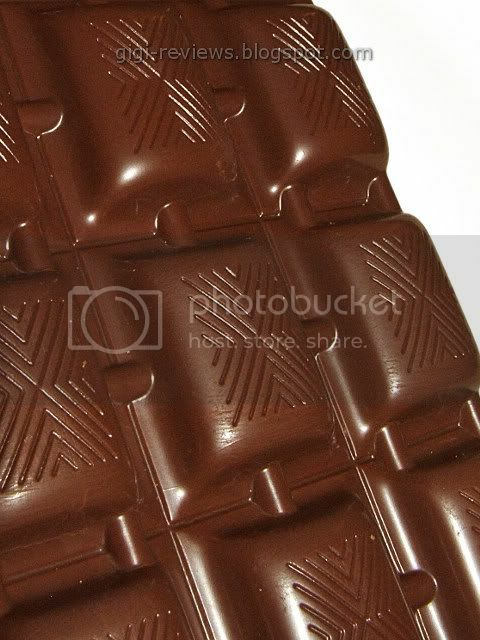 The milk chocolate that the bar is molded with is soft and melty, but held the molded design beautifully. (And did I mention how pretty the molding is? It really is a very nice looking bar.) 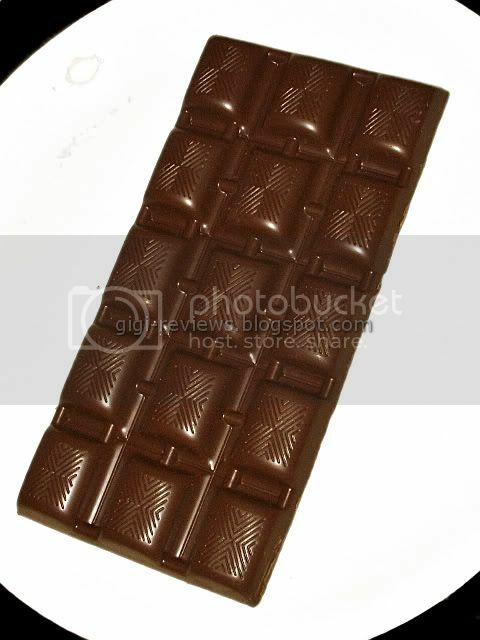 It's creamy and you can taste the generous amount of dairy in the chocolate. On its own it might be a little bland, but it pairs with the truffle filling perfectly. It's hard to rate this one. On the one hand, it didn't remind me of a Champagne truffle in the least. On the other hand, the filling is just so darned delicious that they could have called it Gebeizt Seife Trüffel and it would still taste great. (I will save you the Googling; that means "Pickled Soap Truffle.") It kind of goes against my standards in a way, but I am still scoring this one an 11 -- because even though it does not taste of anything akin to Champagne, it is still 17 kinds of awesome. Maybe even 18. Or maybe more than I could count. Find it. Buy it. Eat it. You will be very glad you did.